Introducing Chopper, who is up for adoption with his son Snowball! They have had an unsettled life with multiple moves, carers and owners and would be so grateful to finally have a stable home where they can live out their later years in peace. Chopper is a friendly, playful boy who loves to talk to and interact with his carers. He is a loyal companion and will follow you around the house to find out what you are up to. He likes affection but has an independent streak too. Snowball is a laid-back, easy-going and incredibly affectionate fellow. He is always up for a pat and loves to curl up in your lap for a snooze whenever possible. He is very good with kids, even toddlers who haven’t quite learned how to be gentle yet! Snowball has Feline Immunodeficiency Virus (FIV). He is currently in great health (as is Chopper), but he requires a little extra TLC in order to stay that way. It also means that he must remain an indoor cat to minimise the risks both to himself and guard against transmission to other cats. 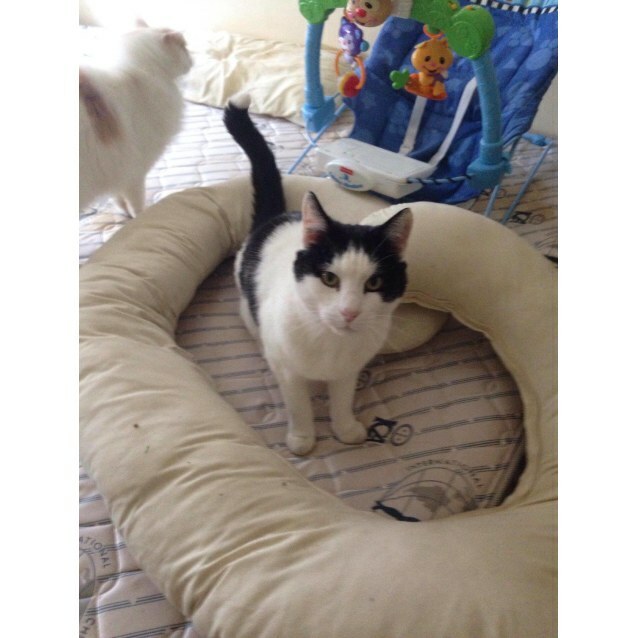 He can live with other cats in your household as long as they have been immunised for FIV. There are no risks to humans. These two cats have been a delight to take care of and will bring plenty of joy to any family that adopts them. Both have been desexed, vaccinated, microchipped, flea and worm treated. Their adoption fee is $80 and they are currently located in Brooklyn Park. Chopper is in great health but his son Snowball has Feline Immunodeficiency Virus (FIV). He is currently in great health - FIV just means he requires a little extra TLC in order to stay that way. It also means that he must remain an indoor cat to minimise the risks both to himself and guard against transmission to other cats. 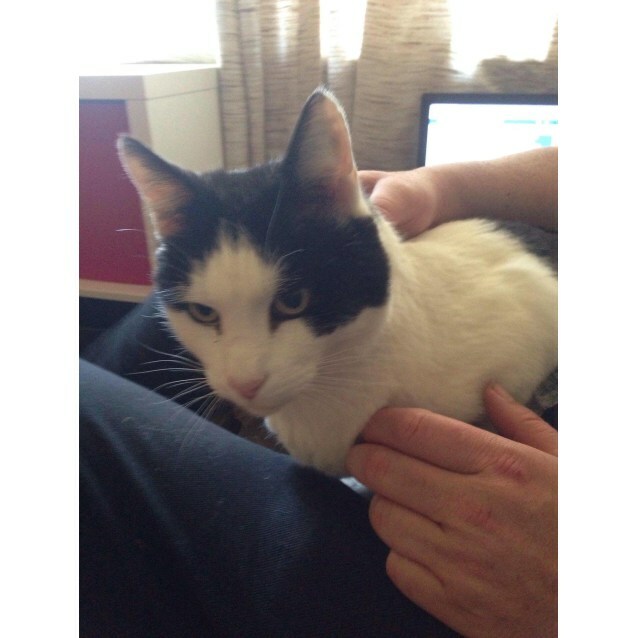 He can live with other cats in your household as long as they have been immunised for FIV. There are no risks to humans.